David Cortes, a Spanish native, is a #guitarist and #composer currently based out of Los Angeles, CA. David studied guitar, piano, and composition at the conservatories of Albacete and Cuenca. 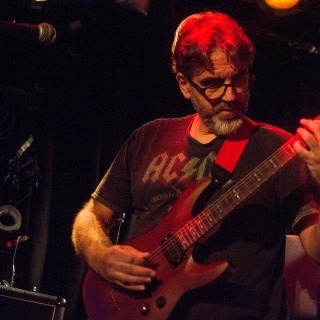 Despite over ten years of classical training, David developed an interest in complex/progressive rock that made him choose the #electric guitar as his instrument of choice. David composed and premiered a couple of small classical pieces while living in Spain, as well as playing in small local bands during the late 80’s and early 90’s. While working to obtain degrees in Computer Science (BS and MSc), he developed an interest in #computer music research, which started at the electro-acoustic research lab in Cuenca. This eventually culminated with his thesis for the MSc, a program that would use AI to improvise over a given MIDI file after analyzing it. After moving to Los Angeles, David pursued further studies into composing music for #videogames, studying with Lennie Moore at UCLA. This brought a fresh and new perspective into his compositions, especially in orchestration and MIDI synthesis techniques. He has worked with Dan Morris (Smashing Pumpkins) as assistant #sound #engineer, as well as recorded #medieval #instruments for Pedro Jesus Gomez (teacher and international performer specializing in medieval lute instruments). He currently plays guitar with Event Horizon, a progressive metal band in L.A.. He works as an R&D senior software engineer at DTS, Inc.